FBI rogues what they wanted; a Trump White House. Assessing election data is a time intensive task during the normal course of events, and if America wasn’t in the midst of a coup d’état conducted by a hostile foreign power and the nation’s top law enforcement agency, it would be acceptable to postpone assessing why a Russian collaborator is heading to the White House. However, acceptable or not, a Russian puppet is heading to the White House and there is overwhelming evidence that his trip to Washington was made possible by both Russian intervention and “rogue alt-right” agents within the Federal Bureau of Investigation. Over the past two days there has been no small number of “reports” on exactly why Trump won an election he had no right being a part of, much less winning. The consensus is clear that the Putin-ordered espionage on behalf of Trump, and the FBI-created “October surprise” courtesy of Director James Comey eroded just enough electoral support for Hillary Clinton to give Russia and FBI rogues what they wanted, Donald Trump in the White House. Now, what Putin did in directing the espionage against the United States was well known over at the Federal Bureau of Investigation. For dog’s sake the “pro-Trump “alt-right rogue” contingency at the Bureau appears to have given information about the Russian hacking to Rudy Giuliani. Back in July Giuliani boasted, exactly one day after Trump appealed to the Kremlin for campaign aid, that he was certain the Russians were on the job and had already “acquired” the stolen data. As Hillary Clinton noted, and as the Huffington Post stated categorically; Comey’s “October surprise” was more than enough to put Trump in the White House. This is the conclusion of Nate Silver and many others. It is all the more damning of an indictment against Comey and the anti-Clinton “rogues” in the FBI that they knew full well that Russia was working against Clinton on behalf of Trump, and then they joined Putin’s efforts to thwart her campaign and put Putin’s man in the Oval Office. 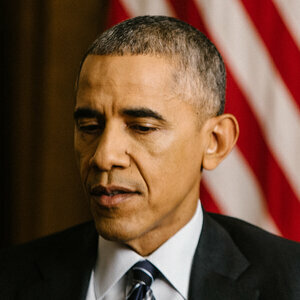 As President Obama said, everyone knew the Russians were working for Trump, and in fact it was blatantly apparent because Trump openly called on his Russian spy friends to help him by committing espionage to portray Clinton as untrustworthy; something they did willingly to sate Putin’s thirst for vengeance against Hillary Clinton. As an aside, it is noteworthy that Putin’s puppet, Trump is renowned for being an extremely vindictive piece of work, so Americans have an idea of what kind of leader they just allowed Vladimir Putin and “rogue” FBI agents to install to “govern” them. In any other universe, this kind of installation is what Keith Olbermann and many, many other regard as a bloodless coup. Mr. Comey knew his actions were wrong and indeed, the Justice Department had fairly warned him about an “unprecedented act of interference in an election.” Comey cannot claim interfering was not his intent, or that he didn’t know it was interfering in an election or appearing political. Remember, he claimed he didn’t comment on Trump’s Russia connection because it was too close to the election, in July, and he didn’t want to “interfere” or appear politically motivated. No matter what Mr. Comey’s excuse or justification for aiding the Russians install Putin’s puppet in the White House, “he knew exactly what he was doing… and went ahead in a manner perfectly calculated to do the maximum damage.” If for no other reason than for the sake of national security, the Federal Bureau of Investigation needs to be hastily purged of “rogue” agents and if applicable they must be prosecuted for criminal conspiracy; this includes their partisan director James Comey. If it is discovered they were complicit in the Trump-Russia conspiracy, and knowingly aided a hostile foreign power’s leader, they must join their Republican cohorts and be charged with treason. They have committed a grave assault on, as Senator John McCain said “the pillar of our democracy;” something the American people likely once believed the FBI existed to defend. The only thing I can say is that our capacity for self-deception is immense. The failure on the part of the FBI to investigate in-depth, fully and without any bias, the connection between the Russian intelligence (and/or in conjunction with other foreign services), despite the clearly present clues, with the terrorist activities on the US soil, apparently, in accordance with the Obama Administration's general ideological guidance, might also imply the potential elements of criminal culpability. "We do not operate on innuendo", unless these "innuendos" are fully investigated and turn out some credible and actionable evidential proves, at least circumstantial, which, in my view, in some cases, are almost easily seen. Otherwise, these "innuendos" will continue to operate on us, with no end in sight. Also investigate how the 650,000 emails got into the Weiner-Abedin's computer, who was behind this, if there is indeed "the right-wing conspiracy within the FBI", and if any foreign powers were behind this. Also: if there was a collusion, in any way, shape, or form, overt or covert, between the FBI's presently on active duty, or former agents (possibly investigating the Weiner affair) and the hostile foreign powers, which, as I wrote before, would imply treason. This connection, hypothetical or not so hypothetical, is underlined by the recent reports (very readily made and somewhat puzzling) of the Russian Ministry of the Foreign Affairs spokesman's statement about the contacts between the Trump's campaign and the Russian officials, possibly including the officials from the Russian intelligence services,despite the subsequent denials of the Trump's allies. The signs of the great America sliding towards fascism are unmistakable, and you should be aware of this more than anyone else. The shadow of the sickening fear of Tyranny and the political persecutions descendedupon "the land of the free and the home of the brave". The circumstance with the Trumps is not an exact parallel; all of the incoming first family will not live in the White House. In a brief telephone interview about the auction, Eric Trump — who is expected to remain at the Trump Organization — said that he was trying to navigate the “new world” he is in since his father’s win. The possible cancellation of the auction would be the second concession by Ms. Trump that she might have overstepped ethical bounds. A jewelry company she owns apologized last month after a senior executive there sent out a notice to reporters promoting a $10,800 gold bracelet Ms. Trump had worn during a television interview with her father. To take place at Trump Tower in NYC or Trump International Hotel in Washington, D.C. - dependent on Ivanka's schedule. The winner can not take anything to be signed. United States Secret Service will be Present for the Duration of the Experience. The Trump Organization reserves the right to terminate this lunch at their discretion without refund, should winner violate any of the delineated terms. Officials in Washington have long accepted donations to charities from special interests pursuing favors. The charity of Senator Orrin G. Hatch, Republican of Utah, accepts hundreds of thousands of dollars from the pharmaceutical industry, and the Congressional Black Caucus takes in millions of dollars annually from corporate donors that are pushing legislation in Congress. Even with the coffee auction in doubt, the Trump family is pushing other charitable events. Eric Trump has scheduled a charitable fund-raiser in late February at the family’s Mar-a-Lago resort in Florida, where $25,000 “Gold Level” sponsors will be given special access. Fred Wertheimer, president of Democracy 21, a nonprofit organization that promotes limiting the influence of special interests, said the role of Ms. Trump and her brother in the fund-raising effort seemed “highly inappropriate” because they were offering access in exchange for money. Federal employees have strict restrictions on charitable solicitations, but the provision does not apply to the president. Time with Ms. Trump clearly comes at a premium. Tony Podesta, a lobbyist and the brother of Hillary Clinton’s campaign chairman, John D. Podesta, also happens to be on the same Charitybuzz website offering lunch in exchange for a charitable donation. The Podesta auction closed on Thursday with Tony Podesta, whose firm calls itself “A King of K Street,” having drawn just four bids, reaching $1,750 a couple of hours before it closed. The final bidding price is not public. Ms. Trump, who is disengaging from the Trump Organization where she is executive vice president, has signaled a desire to be involved in policy, working on pay equity for women and talking to her father about climate change. She has interviewed candidates to work for her as chief of staff as she prepares for a possible role in the administration. She also plans to lobby members of Congress, in conjunction with the Republican Main Street Partnership, to expand child care, said Sarah Chamberlain, the partnership’s president. “We are thrilled to have her,” Ms. Chamberlain said Thursday. She and Mr. Kushner have examined how he could join the administration without violating anti-nepotism laws. He is looking at having a staff and an office in the White House, although no final decisions have been made. A number of the transition team’s executive committee meetings have been on the 25th floor of Trump Tower, where all three of Mr. Trump’s adult children have offices, according to two people present for the briefings. The president-elect said in a Twitter message this week that Donald and Eric would run the business going forward. As of Thursday evening, the highest bid for the coffee auction — $67,888 — had come from Russell Ybarra, the Tex-Mex restaurant-chain owner, who said in an interview Thursday that he wanted to urge Ms. Trump to persuade her father not to go too far in restricting immigration laws. Many of the employees at his 14 restaurants are immigrants, and he said he already had a hard time finding workers. 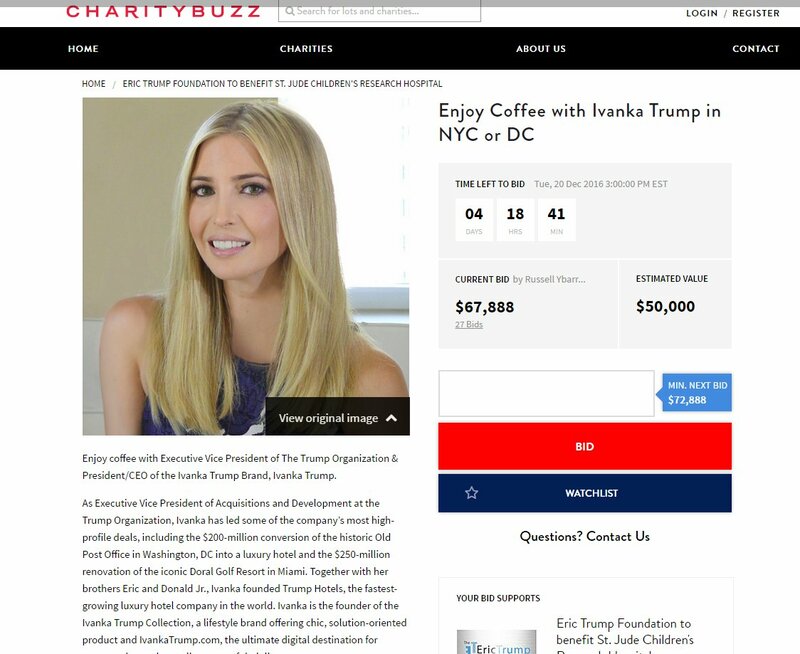 “I believe Ivanka is more open-minded a person you can reason with,” Mr. Ybarra said, just before he went back on the website and increased his bid. By early Friday, the high bid had risen to $72,888. The contest to have coffee with Ms. Trump comes with strict rules. A background check by the Secret Service is required, according to Charitybuzz, and the Trump Organization retained the right to shut down the meeting, which was to be held sometime after January at the Trump Tower in New York or the Trump International Hotel, near the White House. In late June, Donald Trump arrived at a factory in Monessen, Pennsylvania, and stood before a wall of crushed cans to discuss one of his favorite topics: trade. The setting befit the oration. This particular factory, after all, had once employed hundreds of aluminum workers; these days, however, it relied on about 35, who largely prepare the metal for recycling. Standing beside his Great Wall of Cans, Trump bashed NATO and globalization, among other organizations and inexorable forces, before honing in on his quixotic plan to single-handedly revive Monessen’s fortunes. Trump would simply utilize his experience in the real-estate business to turn around the moribund American steel industry. The return of the steel business, he promised, would send a new generation of skyscrapers “soaring, soaring” into the sky. Trump, who has often been flanked at larger campaign rallies by his wife and extended family, was alone. And rather than speaking extemporaneously, as is his custom, he was reading prepared remarks from a teleprompter. The initial draft of his speech, rather notably, had only one word in its file name: Jared, seemingly a reference to Jared Kushner, the presumptive nominee’s increasingly influential son-in-law, who reportedly had lent a hand in writing this speech. On some level, the specter of Kushner campaigning beside his infamous father-in-law seems rather improbable. Outside of their involvement in the real-estate business, Kushner and Trump appear to be opposites. Trump has run a campaign based, in part, on racial undertones; Kushner, on the other hand, is an observant Jew. Trump is the Republican Party’s presumptive nominee for president; Kushner comes from a well-known Democratic family (in fact, his own father’s former tormentor in New Jersey, Chris Christie, is now essentially his father-in-law’s right hand). Furthermore, Trump’s style could be characterized as a steroidal version of Las Vegas, as designed by Uday Hussein. Contrastingly, visitors to Kushner’s office on the top floor of 666 Fifth Avenue, which his family purchased for $1.8 billion in 2007, pass under a Noguchi-designed wave-like ceiling in the building’s lobby. Kushner’s floor is serene, and features a bubbling fountain. He and Ivanka Trump are the epitome of well-bred understatement. Their apartment, recently profiled in Elle Décor, features Christian Liaigre upholstery and midcentury chic. “Besides being devastatingly handsome, he is well mannered, well bred, and so well turned out,” notes the inimitable Peggy Siegal, who has organized several events for The New York Observer, which Kushner purchased a decade ago for what was reported to be nearly $10 million. Charlie Kushner’s imprisonment had a profound effect on his son. It forced Jared, who is the eldest son in his family, to take over the business at age 27, in 2008, and shoulder responsibility beyond his years. “I think a lot of what motivates Jared is trying to rebuild the family name from the damage that his father has done,” one former friend told me. Kushner, however, didn’t advocate aggressive coverage when it came to his allies. The Observer’s list of the 100 most powerful people in real estate, for instance, “was a total Jared project,” one former editor told me, designed to reward his friends and, crucially, place his father-in-law in the right spot on the list. (A person close to Kushner told me that reporters sometimes called him about the list, on account of his involvement in the industry, but that he didn’t meddle with it.) Meanwhile, Ivanka and Kushner’s mother, Seryl Kushner, stopped by the *Observer’*s office to discuss office furnishings, rugs, and “who was going to sit where,” the former editor told me. To his staff, Kushner remained a forceful boss. Back then, Kushner “was frustrated that [the Observer] wasn’t a stronger digital player,” as this former editor recalled, and often expressed impatience that the print journalists didn’t want to write more for the Web site. He urged another former editor to give the journalists byline quotas to fulfill their digital contributions. Kushner’s Observer has lost virtually all of its cultural currency among New York’s elite, but the paper is now profitable and reporting traffic growth. A source close to Kushner notes that the Observer boasts 6 million unique visitors per month, up from 1.3 million in January 2013. Like Christie, Kushner may signal a moderating influence on Trump to his detractors within the Republican establishment, which remains wary of the candidate. Certainly, Trump would do well to rely on political analysis from other, more seasoned sources. Days after this Monessen speech, for instance, the Times noted that many residents of the Pennsylvania town had long conceded that steel jobs would not be returning. Many, in fact, were more interested in high-tech alternatives that offered a brighter future. But others wonder whether something deeper is at play. Kushner, who was just coming of age as an adult when his father was imprisoned, has exhibited a tendency to seek the friendships of older people—often moguls as old as twice his age. He runs in a rarified circle that includes Murdoch and Robert Thomson, the chief executive of News Corp. (The friendship with Murdoch grew partly out of Ivanka’s friendship with Murdoch’s ex-wife, Wendi Deng.) Is his relationship with Trump more than simply the demonstration of familiar fealty? Either way, Kushner’s commitment to the Trump campaign, whether personally ambitious or simply altruistic, could produce more headaches for a family that has known plenty of them. Should Kushner indeed help his father-in-law achieve a spot in the Oval Office, it could pose a previously unforeseen threat to an emerging wing of the Kushner empire. After all, Kushner’s younger brother, Josh Kushner, is the co-founder of Oscar Health, a burgeoning healthcare start-up valued in the billions. Oscar, as BuzzFeed noted, is “the first health insurance company created for consumers in the new world of the Affordable Care Act.” That is a law, of course, that Trump has continuously threatened to repeal if elected. The Donald strikes a pose in the atrium of Trump Tower on Fifth Avenue in Manhattan, 1999. It is currently the site of most of Trump’s remote TV interviews. The Trump Taj Mahal resort and casino complex, Atlantic City, New Jersey. Opened in 1990, bankrupt in 2014, sold to billionaire Carl Icahn in 2015. Trump celebrates his March 1, 2016, primary victories at his Mar-a-Lago Club, in Palm Beach. To the left of The Donald is New Jersey governor Chris Christie. A penthouse bedroom at the Trump Taj Mahal, in Atlantic City, 2007. Trump embraces son in law Jared Kushner, as his daughter Ivanka Trump, .... Schumer did not close the door to working with Trump and the GOP on ... not going to enroll ourselves in trillion dollar efforts in remaking countries. Trump's kids could play key White House roles: How unusual? The U.S. State Department is looking to end ISIS once and for all. The agency announced Friday that it will raise the bounty for Islamic State leader Abu Bakr al-Baghdadi, more than doubling the amount that has been offered since 2011. Two lawyers were charged Friday with a "massive extortion scheme" in which they uploaded X-rated films to file-sharing sites, sued the people who downloaded them — and collected millions from victims who feared public humiliation, prosecutors said. photo - President Barack Obama speaks during a news conference, Friday, Dec. 16 President Barack Obama speaks during a news conference, Friday, Dec. 16, 2016, in the briefing room of the White House in Washington. (AP Photo/Susan Walsh). "Among the big powers, there has been a traditional understanding of, that everybody is trying to gather intelligence on everybody else," Obama told Morning Edition's Steve Inskeep in a wide-ranging interview on Thursday. "It's no secret that Russian intelligence officers, or Chinese, or for that matter Israeli or British or other intelligence agencies, their job is to get insight into the workings of other countries that they they're not reading in the newspapers everyday." The informal, unwritten rules of the past are no longer adequate, the president added. "One of the things that we're going to have to do over the next decade is to ultimately arrive at some rules of what is a new game," he said. "And that is the way in which traditional propaganda and traditional covert influence efforts are being turbocharged by the Internet." The president suggested the U.S. is more vulnerable than other nations because the American economy is both bigger and more highly digitized than other countries. "This is actually a good example of where, in addition to whatever actions that we take bilaterally against Russia, we've got to spend some time working at an international level to start instituting some norms, the same way we did with things like nuclear weapons," he told NPR. 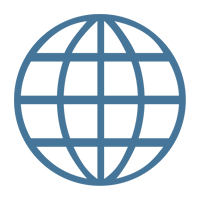 Nuclear weapons are governed by an elaborate web of international treaties, including the Treaty on the Non-Proliferation of Nuclear Weapons. Such an infrastructure has yet to emerge for the much newer challenge of cyber-weapons. In a separate interview with NPR this week at the White House, Lisa Monaco, the president's Homeland Security and Counterterrorism Adviser, picked up on a similar theme. Asked which security threats would loom most pressing to her successor, Monaco glanced at the overflowing inboxes lined up on her desk. She works in the warren of National Security Council offices packed into the basement of the West Wing. "So, the terror threat," she replied. But Monaco suggested that cyber issues will rank a close second. "We will continue to see a growth in the number and nature of actors — nation states, non-state actors, hacktivists, criminals," she said. "And a wide variety of vectors by which they're trying to do us harm. The 'Internet of Things' is going to pose grave new challenges for the next team, as the attack surface that cyber actors can operate in is ever-expansive." ... and with the potential for traditional espionage to be "turbocharged" by the Internet, President Obama told NPR in an exclusive interview. James Comey, the F.B.I. director, testified in September before a House ... by a foreign power and a rogue domestic law enforcement agency? ... totally unjustified last-minute intervention by the FBI, which appears to ... by a foreign power and a rogue domestic law enforcement agency?". (CNN) -- The United States must either stop accusing Russia of meddling in its elections or prove it, a spokesman for Russian President Vladimir Putin said Friday. Presidential spokesman Dmitry Peskov said it was "indecent" of the United States to "groundlessly" accuse Russia of intervention in its elections, Russian state news agency Tass reported. President Barack Obama on Thursday vowed retaliatory action against Russia for its meddling in the US presidential election last month. US intelligence agencies in October pinned blame on Russia for election-related hacking. At the time, the White House vowed a "proportional response" to the cyberactivity, though declined to preview what that response might entail. US President-elect Donald Trump dismissed the US intelligence community's assessment, however, in comments Sunday. He suggested that there was no proof Russia had hacked the election, saying the snooping in Democratic Party servers and emails of campaign staffers for Hillary Clinton could have been done by China or even someone sitting in New Jersey. A US official familiar with the election-related hacking told CNN Thursday that the operation was carried out with sophisticated hacking tools, suggesting that Putin was involved. The source said while Putin's "fingerprints" were not on the hacking, "the nature of the operation was such that this had to be approved by top levels of the Russian government." Russian cyberhacking activity has continued largely unabated since the election, including against US political organizations, US officials briefed on the investigation told CNN. Clinton said Thursday night that Putin's alleged involvement in the hacking of Democratic organizations during the 2016 election stemmed from a longtime grudge the Russian President has held against her. Meanwhile, her campaign chairman, John Podesta, whose own stolen emails were leaked, issued a scathing rebuke of the FBI. He wrote in a Washington Post op-ed that the bureau's "seemingly lackadaisical response to the very real Russian plot to subvert a national election" by comparison with its overzealous investigation of Clinton's emails "shows that something is deeply broken" there. Former Georgian President Mikheil Saakashvili told CNN Friday that he was not surprised by the US claims against Russia. "Well I almost was, like, vindicated when the same administration in Washington suddenly started to speak about Russian involvement in the election," he said, speaking in the Ukrainian capital, Kiev. "Because we, for me, it's déjà vu. They were the same people telling us, "no, no, it cannot possibly be true." And now it came to their doorsteps. And of course he [Putin] does all those things. Of course he is a great master." CNN's Lindsay Isaac contributed to this report. http://sites.google.com/site/louispan... and also others subjects i have tackled in my long and adventurous life which started in 1956 with the first African tour on a Harley Davidson. Bonjour, vous trouverez plus d'informations sur mes reportages sur mon site http://sites.google.com/site/louispan... et aussi sur d'autres thématiques que j'ai abordées durant ma longue vie d'aventurier-reporter qui commença en 1956 par le premier tour de L'Afrique en Harley-Davidson. Comme vous l'aurez compris, j'ai vécu et filmé des moments historiques, rares mais surtout inoubliables. N'hésiter pas à me contacter par mail à <a href="mailto:cinevideolouis.panassie@gmail.com">cinevideolouis.panassie@gmail.com</a>. There were several critical mistakes that led to the massive hacking of both the Democratic National Committee (DNC) and chief Hillary Clinton advisor John Podesta’s emails, and the blame rests squarely with American leadership at the highest levels, according to reports. Russia’s infiltration of the communication systems of the DNC and Podesta was possible because of “The Perfect Weapon,” according to an expansive Tuesday article at The New York Times. The weapon was only so perfect, it turns out, as the multiple security protocol lapses of the political and law enforcement institutions show. The FBI, for example, did not bother to warn the DNC that it knew for months it was a target of a Russian cyber attack. FBI agents met with DNC officials several times to discuss the committee’s network security, but failed to mention it was investigating potential Russian espionage into the DNC’s systems, according to Reuters. When Special Agent Adrian Hawkins of the FBI discovered vulnerabilities in the DNC’s system, he was reportedly transferred to DNC’s help desk, specifically tech-support contractor Yared Tamene. After the initial communication, Hawkins tried to call back a number of times, but Tamene did not pick up due to fears that Hawkins was not a legitimate law enforcement agent. “I had no way of differentiating the call I just received from a prank call,” Tamene wrote in an internal memo, obtained by The Times. Not only did Hawkins not go directly to the DNC headquarters — which is only around a mile away from FBI’s J. Edgar Hoover Building — after he couldn’t completely relay the warning, but the DNC (perhaps automatically) directed Hawkins to the lowest level of assistance. While there were desires to bolster protections, the DNC complained they didn’t have sufficient funds to hire cybersecurity support or install advanced software to protect its servers. The organization said its nonprofit status made it dependent on donations and that it didn’t have the budget of an equally-sized corporation. “There was never enough money to do everything we needed to do,” Andrew Brown, the technology director at the DNC, told The Times. The DNC raised a total of $369,374,155 during the 2016 election cycle, according to OpenSecrets. So the DNC’s poor operational structure played a huge part in critical information about a breach on its system failing to be addressed and so did its inability to take cybersecurity seriously. Somewhat ironically, WikiLeaks released emails from Podesta’s account that show there was only urgency once a cyber intrusion already occurred. The Podesta emails caused the Democratic member of Congress and then-Chairwoman of the DNC, Debbie Wasserman Schultz, and other top party aides, to resign in disgrace. Then there’s the White House, which is in some degree tasked, among another litany of other duties, with protecting democratic institutions from foreign espionage. President Barack Obama chose not to retaliate against Russia for hacking America’s critical infrastructure for fear of disrupting negotiations with Russia over the Syrian civil war. Ryan Hagemann, technology and civil liberties policy analyst at the Niskanen Center, doesn’t believe all of the onus should be on Obama. “The responsibility for protecting American political institutions from espionage and hacking primarily falls to the NSA, CIA, and other agencies with cyber expertise,” Hagemann said, adding that these agencies are supposed to report to the Office of the Director of National Intelligence (ODNI), which reports to the president. “While the President is indeed the commander-in-chief, his ability to make informed decisions relies on the expertise of specialists and practitioners who work below him,” Hagemann continued. The Times likened the whole DNC hack to the Watergate scandal, drawing comparisons in the respective burglaries of information — one direct and remote. Perhaps a more appropriate historical analogy would be the intelligence sharing (or lack thereof) prior to the September 11th attacks, where different intelligence, law enforcement agencies and institutions failed to collaborate properly and take signals and warnings with the utmost seriousness. Delavan told The Times that a typo in the email he sent urging Clinton’s campaign staff to change their passwords played a huge part in private conversations becoming publicized. Russian President Vladimir Putin supervised his intelligence agencies' hacking of the U.S. presidential election and turned it from a general attempt to discredit American democracy to an effort to help Donald Trump, three U.S. officials said on Thursday.